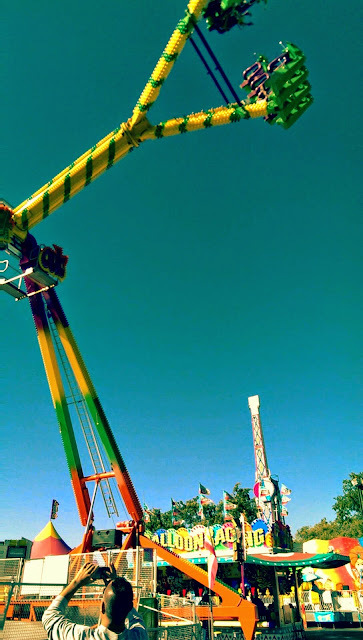 Last day of school + the county fair + a 48" tall kiddo = AWESOMENESS SQUARED. I am shocked at how much my boy likes the crazy thrill rides. He wasn't even the tiniest bit phased by the Freak Out--he actually went on it again a few hours later. I didn't dare go on The Gravitron until I was 10, but this kid is unstoppable when it comes to the midway. Which is just how I like 'em. A great way to end the school year: eating junk food then spinning around on giant amusement park rides that can be folded up and packed onto the back of a truck in 45 minutes. Yikes.